The Blessed Virgin Mary is the secret to all great evangelizing. While on our own we might participate beautifully in the Lord’s work of converting the hearts of some people, the Blessed Virgin has been known to convert entire continents. 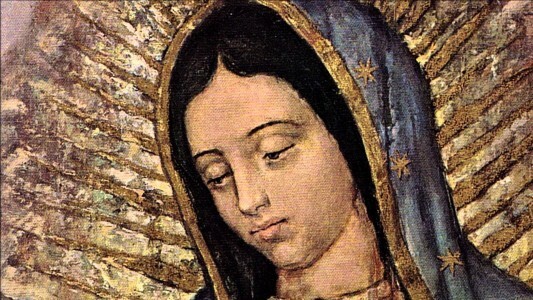 The story of Our Lady of Guadalupe is a wonderful example of how quickly and easily she brings people to her Son. Rather than rely on our own efforts to make disciples of Jesus Christ, let us turn ourselves, our ministry, and our parish over to Mary, asking her to do what she does best – quickly and efficaciously convert hearts and bring them into deep intimacy with Jesus. Pray the Rosary for your own continued conversion and holiness. In addition, pray for those whose hearts are far away from God, mentioning them by name in your prayer. Consider praying a Rosary for Evangelization. An act of enthronement gives Our Lady special authority over your home, workspace, or other location where her image has been enthroned and honored. Those who entrust themselves in this way can expect her to extend her reign anywhere that she has been given permission to do so. The Blessed Virgin Mary is an integral part of the Good News of Jesus Christ. Christ has given her to us as our Mother, our Model, and our Advocate. Let us seek ways to introduce people to her as early on in the process as possible so that she can smooth and make sweeter a person’s path of discipleship.